Worldwide job postings are accepted free of charge; please email us a brief job description plus a link and/or contact information. Guide on Haida Gwaii with Tofino Expeditions. Assistant guiding in the remote southern portion of Haida Gwaii for the months of July and August. Assist a very experienced lead guide team on an service oriented series of trips on an ambitious ACSKG Class II route. Competitive salary, travel package and typically generous gratuities. Algonquin Adventure Tours has employment opportunities in Ontario. Kayak Halifax is looking for guides to work in Nova Scotia. Terracentric Coastal Adventures is looking for a day guide to work in the marine parks of Copeland Islands, Desolation Sound and surrounding areas. 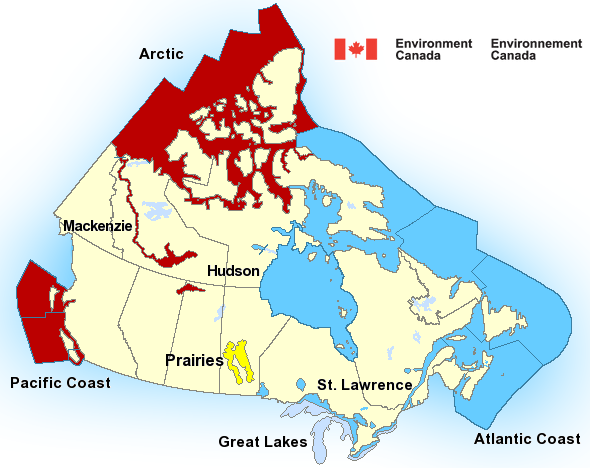 Trinity Eco-Tours is looking for a guide to work in Newfoundland during the summer. Ecosummer Expeditions is hiring overnight lead guides for their Johnstone Strait Orca Camp. Spend your summer kayaking and camping at this private base camp on Vancouver Island. 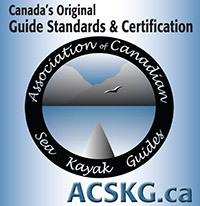 Lotus Land Tours is looking for a certified kayak guide to lead day trips around Vancouver. BC Class 4 driver's license preferred. A Paddle in the Park Kayaking is looking for on-call kayak guides, mainly for day trips off Sidney, BC. Available tours are emailed out; guides choose the tours that work for them. 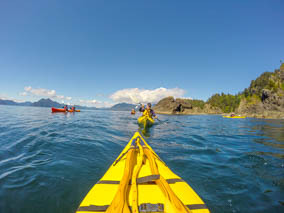 Kayak Tour Business For Sale: Own a well-established sea kayak touring company with more than a quarter-century history of successfully operating in Gwaii Haanas National Park, British Columbia, Canada. Assistant guide position on Haida Gwaii, British Columbia. Apprentice guide position in Gwaii Haanas National Park. Nordic Ventures is hiring international certified guides to work in Norway. Job postings are accepted free of charge; please email us a brief job description plus a link and/or contact information.